We just finished, and I'm in the press room uploading my videos. We started about 20 minutes behind schedule, but Trump was in New Orleans today, so I guess I'll let him off the hook. The team had McDonald's for dinner in the East Room of the White House before the President made his entrance. Looked like a presidential meal to me! 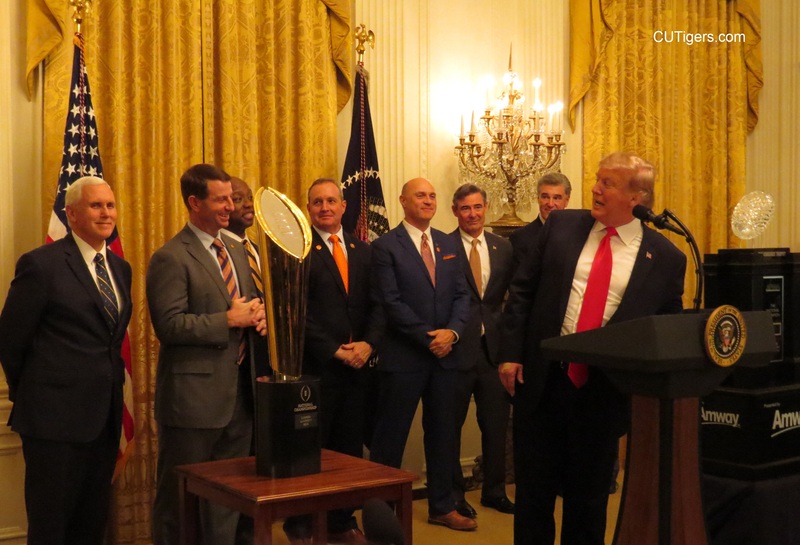 Best line of the night was when President Trump asked Dabo how many were coming back, to which Dabo replied, "Enough." I'll have videos for you shortly. Stay tuned!